Jared Unzipped: Wesley and Walter. In the blustery cold of the North Pole, there once lived two gingerbread men named Wesley and Walter. They both entered Santa's Civil Service fresh out of the oven. At first, they worked as street sweepers moving crushed peppermints off the road for the elves and reindeer to travel around safely. Before long, they were promoted to snow globe duty. Wesley and Walter would follow behind the clouds in a hot air balloon and catch the falling snow in giant baskets, then pack the flakes into globes for little boys and girls to wish upon. As time went on, the two gingerbread men continued to gain more responsibility. Along with that came more pay. By the time Wesley and Walter were personal stable guards for Comet the Reindeer, they were earning over forty gumdrops per week! 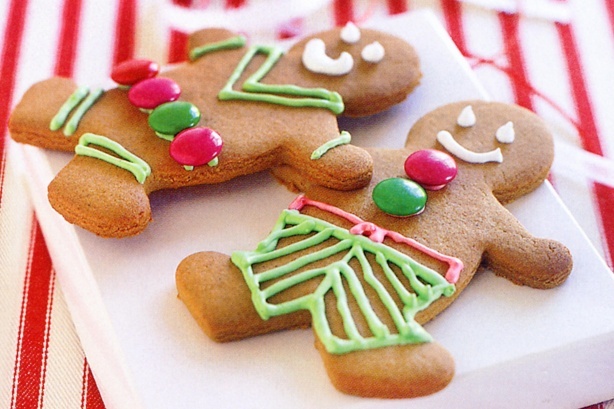 While both gingerbread men were cut from the same batch of cookies, they couldn't have been more different in personality. Whereas Wesley was thoughtful, patient and saved his gumdrops, Walter was impulsive and spent his riches on his friends. Every day after work, Walter would catch a carriage ride down to Jack Frost's Saloon. He'd lavish himself and his friends with endless rounds of egg nog and orange creme whips. Sometimes, he'd drink with his friends into the wee hours of the morning and get very little sleep. All the while, Wesley would typically stop at the grocery on his way home from work. He'd pick up a few licorice sticks and chocolate covered cherries for dinner, then read a book before going to bed at a reasonable hour. One frigid morning, Wesley and Walter were due to report to Comet's stable for guard duty. Whereas Wesley arrived five minutes early just for good measure, Walter failed to show up on time. Unfortunately, he'd drunk way too much the night before with his friends and slept through his jingle bell alarm. By the time Walter made it to the stable, he was four hours late! Stable manager Frosty was so disappointed in Walter, whom had showed up late numerous times before, that he fired him on the spot. Irresponsible Walter was forced to return to sweeping the streets, only now he couldn't support the posh lifestyle he'd grown accustomed to. Even worse, all of his supposed friends suddenly stopped speaking to him when he couldn't afford drinks at the saloon any longer! Wesley felt bad for his friend Walter, but understand why things had unfolded as they did. Much to his own detriment, Walter was careless with his finances and failed to take his responsibilities seriously. Looking back on his time with Walter, Wesley realized a valuable lesson -- hard work and correctly managing your money does pay off in the long run! Frosty thanked Wesley for being such a dedicated worker and recommended he visit with his personal accountant, Dudley. You see, Wesley had slowly earned a fortune over time. Saving every gumdrop he could for years on end, Wesley had amassed a mountain of candy literally spilling out of his gingerbread house. Finally realizing that he had more gumdrops than he could ever use, Wesley wisely invested in Santa Claus' lucrative toy development division. As toy technology became increasingly powerful over time, Wesley's investment proved more and more profitable. After only a few years as an investor, he was suddenly asked to join the North Pole Board of Directors by none other than the jolly big man himself! Wesley had proven himself to be a wise resident of the North Pole. Late one evening many years later, upon traveling home to his gingerbread mansion after meeting with Santa Claus, Wesley passed Walter in the street. There Walter was, forced to walk behind the insidious Belsnickel and carry his disgusting tongue. The two gingerbread men recognized each other and waved, but it was readily apparent that Walter had lost the sugary, glazed-over gleam in his beady eyes. His repeated mistakes had left him financially and spiritually broken. More so, Walter knew full and well how successful Wesley had become because he was a responsible gingerbread man. On a whim, Wesley turned around and dashed back to speak with Walter. He asked if they could have a drink sometime at Jack Frost's Saloon and catch up. Taking pity on Walter, Wesley decided that he would try to help his former coworker get on the right track... but only if Walter was willing to help himself. Thankfully, after years of living gumdrop to gumdrop, Walter finally understood the value of being responsible. Two gingerbread men sat and had drinks that evening, not just as friends, but as equals. Each had taught the other a valuable lesson in life. Wesley inspired Walter to work harder, which eventually earned him the prestigious position as snow globe balloon commander. In return, Walter became Wesley's most trusted and loyal friend. as well as a lesson to learn in return.